We almost certainly don't know all of the Pools in Monaco. Are you missing any? Contact us!. Thanks to some new pools submitted by swimmers like you, Swimia.com is growing in the day-to-day number of stored pools. Please do not hesitate to make contact with us if you uncover any Monaco Swimming Pool with inaccurate or incomplete information. Are you on holiday and wish to hold fit and wholesome? Swimia.com offers you the quick and quickest strategy to uncover Aquagym in Monaco near your present location. 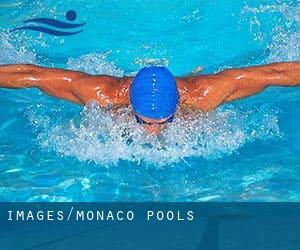 If you might be searching for Monaco Pools, it's superior to know a lot of of them belong to gyms or sports centers which also offer lessons. Get informed by calling the premises. Going to a Monaco Swimming Pool is growing specially within the elderly population sectors of Monaco, who have suffered some type of muscle or bone damage. Please contact the sports center in Monaco to check which activities are becoming offered and their timetables, since Monaco Pools could have diverse rules and fares than other places. Enjoy the best indoor pools in Monaco and don't worry about the weather. These facilities are open all seasons and you can enjoy a swim at the same temperature every day of the year. 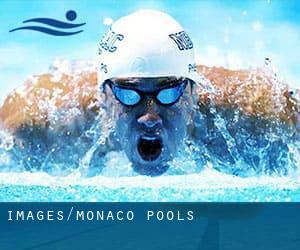 There are many reasons why you should choose a heated swimming pool in Monaco. Essentially the most very important one relies on the importance of keeping the body temperature stable. When the water is too cold, your body will try to warm it up and you will lose strength to swim properly. One of the advantages of outdoor swimming in Monaco may be the possibility to sunbathe during the summer season. Taking it with extra care, sunbathing is healthy since introduces Vitamin D into the body, so the very best option seems to be switching amongst indoor and outdoor pools depending on the season. Swimming can be a exceptional idea to help keep your body active in the course of your visit to Monaco (Monaco), or even if you are a local. Swimia helps you to find your closest Swimming Pool in Monaco. Updated on 2019 12 Avenue des Spelugues , Monte Carlo (Postal Code: 98000). Swimmers like you reported 20 meters x 8 meters, 1.2 meters - 3.2 meters depth, 1.2 meters - 3.2 meters depth, Outdoors. Phone number and e-mail address are number for this Pool. Updated on 2019 Stade Louis II , 7 Avenue des Castelans , Fontvieille , Monte Carlo (Postal Code: 98000). Swimmers like you reported Olympic size x 18 meters, 7 lanes, Indoors. Unfortunately we do not have the email address of this Swimming Pool, but we can give you the phone number. 7, Avenue Saint-Charles , Monte Carlo (Postal Code: 98000). This sports center delivers 18 meters x 12 meters, Indoors. For this Swimming Pool, only phone number is number here.